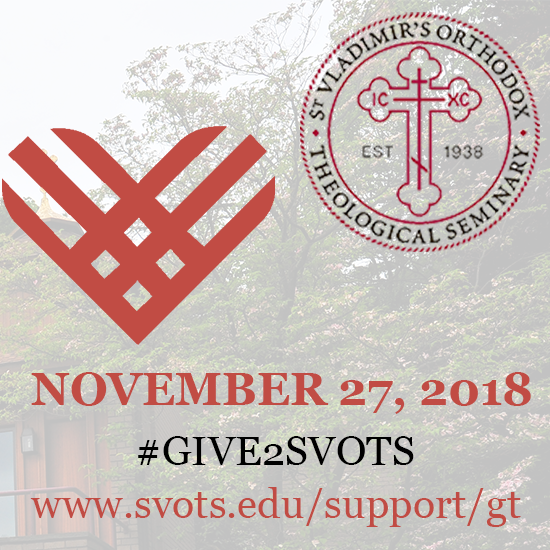 Click here to donate to St. Vladimir's Seminary on #GivingTuesday, November 27, 2018! Click on our 2018 #GivingTuesday Toolkit here! When you #give2svots, you give twice! We’ll be tithing 10% of whatever we raise on #GivingTuesday to another non-profit organization. Not only will you be helping us educate future bishops, priests, monastics, and lay leaders—for your parishes and the wider Church—but you’ll also be giving hope and a future to victims of devastating floods in Kerala, India, which this summer suffered the most devastating floods the region has seen in a century. Our select non-profit partner for 2018 is the Malankara Orthodox Syrian Church (MOSC) Kerala Flood Relief Project. 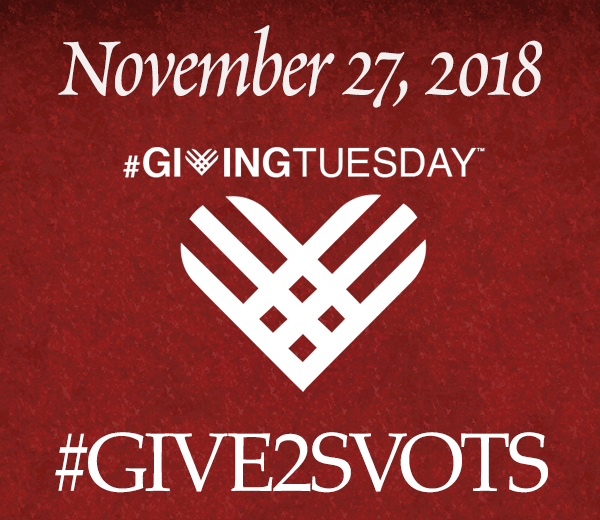 Let’s #give2svots! How Can You Minister with Us? Of course, you may donate any amount...but you may also encourage others to give by sharing why you gave. Follow us on social media for updates on our progress—and we'll follow you as well! Because we believe in giving, we’ll be tithing 10% of whatever we raise on #GivingTuesday. This year’s recipient will be the Malankara Orthodox Syrian Church (MOSC) Kerala Flood Relief Project. Devastating flooding and landslides in Kerala, India—the land where St. Thomas the Apostle is traditionally believed to have evangelized starting in A.D. 52—occurred in August 2018. As a result of the disaster, more than four hundred people were killed, 750-800 thousand people were displaced and put in relief camps, and more than 220 thousand people were left homeless. The MOSC Relief Program includes reconstructing homes for one thousand families, providing food, clothing, medical help, and trauma and rehabilitation services, participating in clean-up efforts, and offering financial aid to people who have lost livestock. So, remember: when you #give2svots you give twice! Our #GivingTuesday Toolkit will tell you everything you need to know. Support St. Vladimir’s with a gift of any size! Find ideas on how to involve your parish in our helpful attachments (below): blurbs for your parish bulletin, fliers, and coffee hour ideas are included! Tell everyone how you plan to #give2svots this #GivingTuesday. Share our posts, and Like/Follow us on social media. You can also email us your photos at #GivingTuesday@svots.edu, to be shared on our social media pages.